Chances are that if you own a television set, you have witnessed the phenomenon known as DRTV. Called “direct-response television”, DRTV advertisements have the goal of generating instant action by the viewers, and they typically include a toll-free number and website address to facilitate orders. Some famous examples of DRTV spots include the Snuggie®, PedEgg®, and who can forget the Ginsu Knife ads of the 1970’s? They fall in categories that appeal to very broad audiences, such as housewares/kitchen, cleaning devices, tools, fitness/exercise, weight-loss, and personal care. DRTV products can be easily demonstrated, and that demonstration usually depicts some sort of problem-resolution…like demonstrating how one can become more beautiful, happier, skinnier, and the like. Price point is extremely important. A product that sells on DRTV for $19.99 will ideally cost $4.00 or less to manufacture. Put your best foot forward. Convincing a DRTV company that your invention is the next multi-million dollar Snuggie is the goal. The question is; are you putting your best foot forward to convince them to invest in your invention, which could potentially cost a DRTV company thousands in developing, manufacturing and marketing your invention, depending on where you are in the process. If your invention is not already developed, your best bet is to have either a high quality virtual design or working prototype, which can tangibly demonstrate your invention. Even a basic or crude video of your invention can help in catching these companies’ attention. Be willing to let go. Some inventors want to dictate the design, materials, even what factory the potential DRTV company must use. Don’t let this be your downfall! As mentioned above, DRTV products have extremely demanding price models due to the large sums of money spent both on developing the commercial and buying the television media/spots. In most cases, the DRTV companies can achieve more competitive pricing from their factories than inventors can provide, based both on the companies’ clout and the sheer volume of product that they can potentially order. Other things like product features, manufacturing materials, and accessories can also play a significant role in determining price, giving companies even more reason to maintain product control. Are you comparing apples to oranges? There could be a BIG difference in how DRTV royalties are paid versus more “traditional” product royalties. Since most royalties (at least in my experience) are based on net revenues, let’s consider what that means. For a “traditional” distribution model, there could be many middlemen. A company might sell their widget to a distributor for $8. The distributor might sell to a retailer for $10. The retailer might sell to consumer for $19.99. In this example, an inventor royalty is based on the only cost the company actually controls, which is their net revenue of $8 (less any agreeable fees). For a DRTV distribution model, the DRTV company might sell their gadget through a television ad, which targets the consumer directly, for $19.99. Guess what? In this scenario, the inventor royalty is based on $19.99! Consider the volume of product sold! 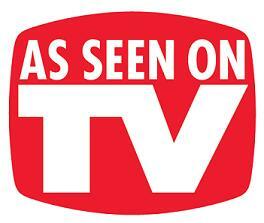 Successful infomercial products don’t just sell hundreds…or thousands of products. They sell MILLIONS. Enough said? Prepare yourself. It’s widely understood in the DRTV industry that a large majority of products tested will actually fail, which is the nature of the business. Many DRTV companies will say that “9 out of 10” products they test will fail, which is why they are interested in market testing many products to see which will ultimately succeed. If you enter the deal with this knowledge and understand the odds, you could save yourself a lot of heartache if your product doesn’t ultimately succeed. Best of luck to you as you navigate the DRTV arena! Need help protecting, designing or marketing your invention? Call 1-866-844-6512.